Deteriorating spillways, sinkholes and mudslides?! Oh My! This winter has been one for the record books, that’s for sure. Despite the hardships this winter has created we have been in awe of the power and beauty that large amounts of water have. We love the Yuba River!! So far our county has received a gazillion inches of water, and winter isn’t even over yet!! Fingers crossed that we make it to summer with no more flood damage and no more evacuations. While the abundance of water mostly creates inconveniences for us humans, it can have devastating health implications for our animal friends. 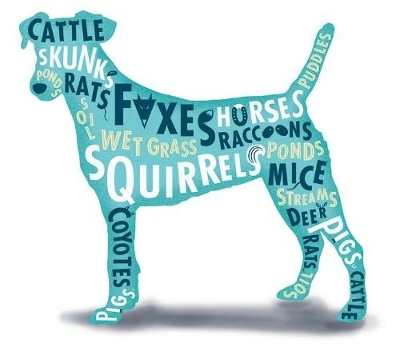 Leptospirosis is a small spiral shaped bacteria that dogs can become infected with when they contact or drink from contaminated water sources. The urine of infected rats, raccoons, deer, and other wildlife serves as the source of contamination for our local waters. Once the bacteria enter the body it will attack the animal’s renal system and can cause acute kidney or liver failure. Leptospirosis must be treated early with appropriate antibiotics and intravenous fluid therapy. With appropriate treatment the prognosis for Leptospirosis is generally good with survival rates between 80-90%. Leptospirosis is zoonotic which means it can be spread from animal to people. 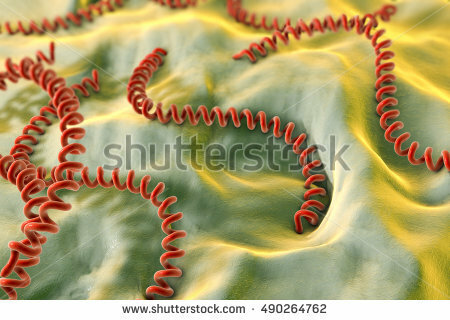 The bacterium can infect people through broken skin on their hands and feet (cleaning up or walking through infected urine….gross), as well as through oral contamination (contaminated water in your mouth while swimming……even grosser). When we treat or suspect a leptospirosis infection in one of our patients our nursing staff must wear protective clothing and gloves to protect themselves from contamination. The symptoms of leptospirosis include; lethargy, lack of appetite, vomiting, and a painful abdomen. If your dog is displaying any of these symptoms they need immediate medical attention. We expect the number of cases in our community to increase with the recent rains and flooding. Super saturation of the soil with water decreases evaporation of infected urine, allowing leptospirosis to persist in the environment. We know this bacteria is present in our community and we don’t want your pet to be the next victim!! We want to help you protect your pet from this deadly disease. Luckily, there is a vaccine available and we carry it! YAY!! Vaccination is quick, easy, affordable, and it is your dog’s best chance for protection against this deadly disease. Not sure if your dogs leptospirosis vaccine is up to date? Need to schedule an appointment to get your dog vaccinated? We can help with that too!! If you have any questions about the information you just read, or would like to schedule an appointment please call us! We look forwards to helping you take great care of your pet. No time to read? Listen to AVMA’s pocast of leptospirosis. Yuba River photo courtesy of 11:eleven photography.